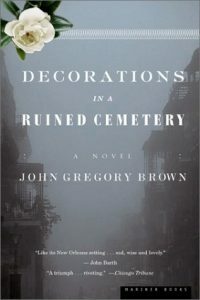 Born and raised in New Orleans, John Gregory Brown is the author of the novels Decorations in a Ruined Cemetery; The Wrecked, Blessed Body of Shelton Lafleur; Audubon’s Watch; and A Thousand Miles From Nowhere. 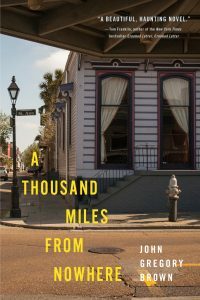 His honors include a Lyndhurst Prize, the Lillian Smith Award, the John Steinbeck Award, and the Louisiana Endowment for the Humanities Book of the Year Award. 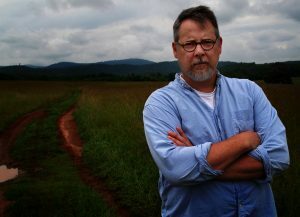 He is the Julia Jackson Nichols Professor of English at Sweet Briar College and lives in Virginia. He and his wife, the novelist Carrie Brown, have three children. “The two voices bob and weave around one another in a counterpoint heightened by the resonance and studied artifice of Brown’s prose. The novel’s language, lush and ornate, mirrors the emotional intensity of the Romantic Age during which Audubon lived and worked. 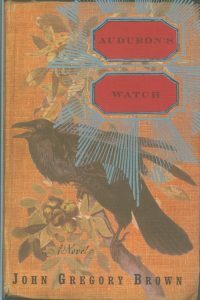 It flirts with the rhetorical conventions of Victorian melodrama, which the murder plot suggests. And it manages to salvage some sense of the mystery that has been bled from life by scientists (including the heirs of Audubon) forever at war with the ambiguous and the inscrutable.